If you did not get a chance to see the gruesome images from Pakistan when lawyers and educated youths showered rose petals on the murderer of a prominent governor, you are not too late. Thousands of Pakistanis are back on the roads supporting the assassination of Salmaan Taseer, the liberal governor of the country’s most populated province of Punjab who staunchly stood for the rights of religious minorities. Taseer’s murder offered everything that drama and tragedy required. A multimillionaire and westernized entrepreneur, Taseer was shot dead by his own security guard on January 4, 2011 in Islamabad. The smug murderer publicly defended his action. 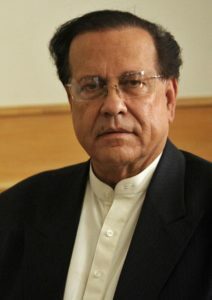 In his words, Mr. Taseer “deserved” death because he had committed “blasphemy” by criticizing certain Islamic legal provisions that punish any ‘blasphemous’ remarks about Prophet Muhammad. Last week, an Anti-Terrorism Court (ATC) sentenced to death Mumtaz Qadari, the twenty-six year old self-admitted killer of the progressive governor. The judgement, seen as a bold one in a country plagued with Islamic extremism, has sparked a massive wave of protests in major cities to denounce the verdict. Besides threatening to kill the judge who awarded death sentence, hardliners have pledged to overthrow the government if President Zardari does not declare the judgement null and void. Urdu newspapers, which have a widespread readership, are endlessly glorifying Taseer’s murder and depicting him as a “hero”. Nawa-e-Waqat, the nation’s second most widely circulated Urdu newspaper, flaunted in a front-page story that “religious leaders” in Pakistan had “widely appreciated” its coverage of pro-Qadri protests and regretted electronic media’s lack of interest in the unfolding developments. A newspaper from the federal capital, Daily Ausaf, published five photos and the same number of stories on its front page in an attempt to present Qadri as a hero and condemn the verdict. Daily Ummat, another right-wing newspaper, has been publishing special colorful editions since the verdict was given in order to facilitate Qadri’s release and encourage violent protests by his supporters. On October 2, the paper interviewed Qadri’s supporters, who said charges of terrorism against Qadri “had not been proven” yet and the judge had given a hasty decision. The newspaper quoted Taji Khokar, an Islamabad businessman, who offered “as much money as desired” by the slain governor’s family in exchange for forgiving the murderer. The newspaper further reported that Qadri, soon after hearing the verdict, had suggested his father should distribute sweets [a mark of joy] among the people because he had been punished for a “good reason,” i.e. protecting the honor of the Prophet of Islam. Since the killing of Taseer because he publicly defended a Christian woman condemned for allegedly committing blasphemy, the Taseers have suffered immensely. 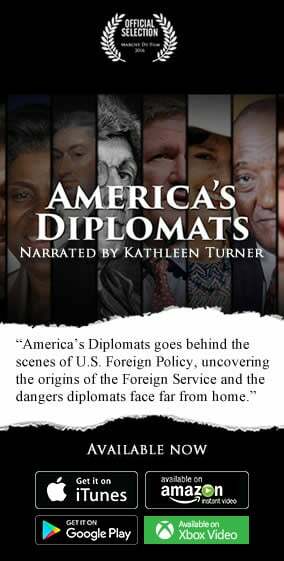 This situation has been very accurately mentioned by Washington Post journalist Pamela Constable in her book Playing With Fire. Pakistan has become a battleground in the name of religion. An extremist segment promotes hate against non-Muslims in the name of religion while another group of people justifies the killing of ‘not so good Muslims” in a society that has become increasingly intolerant and violent since 9/11. Pakistan’s liberal and progressive voices only come from rich and western-educated individuals and families. They only whisper liberal values into each others’ ears rather than ever attempting to reach out to the rural masses. This elite-driven drawing-room liberalism does not reach the common Pakistani.